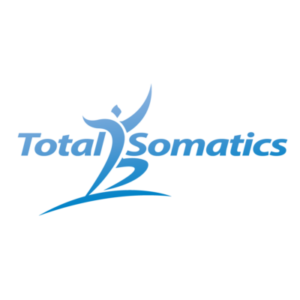 If you are involved with a sport, repetitive activity or suffer with muscle tightness and pain, did you know Somatics can help you ease your discomfort? In this week’s blog I am going to explain why Somatics is fantastic to add into your fitness regime to allow your muscles to fully release. Thus, helping you to gain greater power and improve recovery time. For many years people have stretched, tugged, yanked, twisted, drugged, heated, cooled and stripped muscles to release tension! Thankfully with neuroscience and research, we have discovered that these approaches are purely ‘band aid’ solutions. If we want to make LASTING CHANGES, we have to consider the ROOT CAUSE. Let me ask you a question! If you want to flex your bicep, what has to be involved to allow this to happen? It’s your brain! Your brain sends messages along the spinal cord to your motor neurons which sit within the bicep muscle. The brain tells the motor neurons to contract the muscle. You have another type of nerve cell within the muscles called sensory neurons. When your bicep, in this instance contracts, the sensory neuron detects a change in muscle length and relays this new information to the brain. All this information is happening automatically throughout your life, it is amazing and very clever. However, this clever mechanism can also become too smart for its own good! If your brain is constantly being informed that the muscle length is shorter than it thought it originally was, the brain re-calibrates and creates a ‘new normal.’ This new normal may result in the muscle becoming tighter, distorting a person’s posture and affecting the way they move or creating pain. This constant communication back and forth from the brain to the tight muscle is know as a ‘Neuro feedback loop.’ Unless we know how to end the actions of this loop, it becomes like a broken record, replaying the error or repetitive message. The strength and power of the muscle is amazing, when the brain wants a muscle to stay contracted, it will do so with great force. To release this powerful level of tension, we have to consider how the brain communicates to the muscles. When we introduce an intelligent method to release muscle tension (which your pet cats and dogs have been doing for years and you witness every day), we create lasting changes. Cats and dogs pandiculate over 40 times each day, they don’t stretch. Pandiculation is the intelligent method used to break the neuro feedback loop, stretching won’t break the loop. Pandiculation involves 3 distinct phases: Contraction of muscles, Slow release and complete relaxation. When we pandiculate, we ‘wake up’ and ‘reset’ the information within the sensory and motor neurons of your muscles. When they wake up, their change in behaviour ‘lights up’ the sensory motor cortex of your brain. This is known as the brain map. Within your brain map, certain regions are portioned out for different areas of your body. When we remind certain areas of your brain map, such as the muscles through the front of your body, that they can actually move and lengthen, the brain and muscles start working effectively together again. Stop and imagine how this is happening with the following example. From years of sitting habitually with their shoulders rolled forward and their 5kg head jutting over the midline, the muscles through the front of their body shorten. The sensory neurons relay this information constantly to the brain, which informs the motor neurons to shorten muscles to maintain this new posture. This is happening subconsciously or without our conscious awareness day in and day out for weeks, months and years. Over time the person suffers with neck, jaw, shoulder and back pain. They may be told they have a ‘weak core’ and need to strengthen their abdominals. When they starting strengthening their core, they create further tightness through the front of their body. Whereas, If the person was encouraged to PANDICULATE, they would actually find that their muscle length increases, their muscle strength increases and their pain decreases. How? If your brain is subconsciously telling your muscles to stay constantly contracted, you may find that you only have 40-50% of your muscles available for activities or sport. Very quickly, that 40-50% of available muscle reserve will fatigue, resulting in other muscles having to compensate for the action, leading to muscle fatigue, cramp or a chain/group of muscles contracting - causing a domino effect along the body. For instance, a person may start with pain and tightness in their left hip. Within a few weeks, the muscle pain, tightness and limited mobility may affect the left leg, ankle, foot and may also radiate from the left hip into the left shoulder or possibly across to the right shoulder, depending on the issue. When we become aware of what is actually happening with our muscular system and how much influence your brain has over the level of tension within a muscle, we realise that the old philosophy of ‘no pain, no gain’ and ‘breathe through the stretch’ are counter productive. Stretching is still commonly used by people to release muscle tension and tightness. Stretching has its benefits and many find it helpful, however stretching involves the spinal cord only. The brain is not involved and stretching is therefore termed as ‘passive lengthening’ as no real changes occur long term. Pandiculation is known as ‘active lengthening’ because the brain is constantly involved with the 3 phase method. We integrate movement and coordination back into the muscles. The muscles learn when to contract and relax at the appropriate time. When the brain is taught how to actively release muscle tension, the synapses or neural pathways in the brain remember how to release chronic muscle tension again. Stretching is unable to do this. The belly of the muscle, which holds the power and control is being held tight by the brain. So when you stretch, the only areas which can lengthen are either side of the belly. When people see these results, they push further and ‘breathe through the stretch,’ often overexerting their ligaments and tendons. Have you ever felt ‘achey’ in your back and hips after a ‘good stretch?” If so, that’s because you’ve over worked the ligaments and tendons (attachment points). To fully release muscles, pandiculation is an intelligent and faster method because we are involving your brain and encouraging it to gently coax chronically tight muscles back to full length and use. Imagine how this can help you before exercise. Just a few minutes before you exercise, you ‘re-calibrate’ your muscles so they can perform at their optimum level. Then after exercise, if you were prone to falling into your habitual movement pattern or posture, you can pandiculate the muscle tension out. Many medical instruments and machines are calibrated before the first patient of the day. It is very important to ensure the machine is operating at its optimum level. If not, it will create inaccurate measurements all day. How much more important is your health? Surely you would want to calibrate your mind and body every day and ensure the muscle length is correct? Throughout the day, our emotional health can impact the level of tension we hold in our muscles. So caring for our physical, emotional and mental health is critical. When we notice we are being held captive in a stressed, tight body, we can use the skills we have acquired to help us to self correct and re-calibrate. Consider this client, within 5 days of practising somatics, her muscle length had increased. Interestingly, when I posted this photo on social media several months ago, people commented that she looked thinner! She had not lost weight, rather she had lengthened her muscles out to their correct setting. She is a keen cyclists and lifts weights. So her brain had the same neuro feedback loop as the office worker I mentioned above - tension through the front of her body. She had been stretching for years, with no real changes or improvements. Check out the power of pandiculation on this lady within 5 days! Would you like to work intelligently with your mind and body and learn how to get to the root cause of muscle tightness, tension and pain? I have created an online program for you to use in the comfort of your own home. 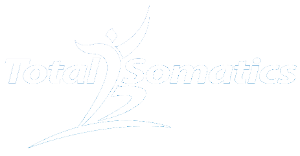 It is self paced and will teach you how to develop an effective somatic movement practise. The online program is packed with information to educate and empower you in the area of your health and well being. To learn more, go to www.TotalSomatics.com.